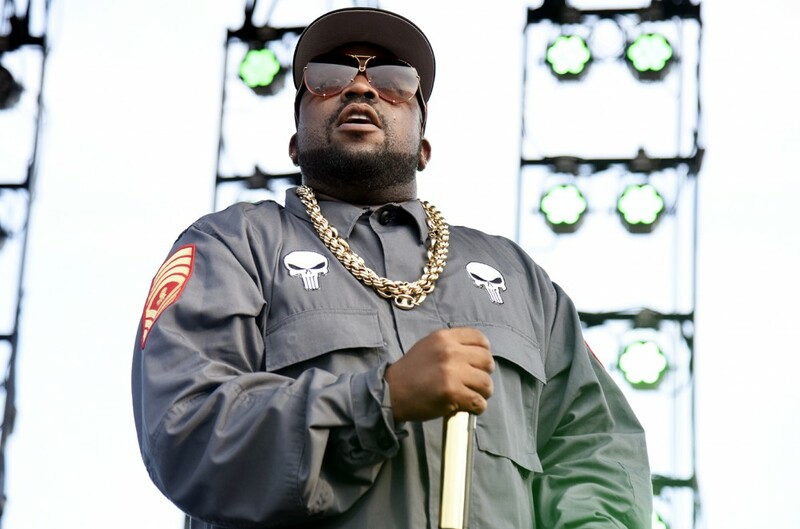 Big Boi hit The Tonight Show stage with some help from frequent collaborator Sleepy Brown on Tuesday night (Aug. 7) for a performance filled with colorful beats and smooth-flowing bars. The ATL rapper, clad in a double denim outfit and a Keffiyeh headcover, tore the ro f with his bouncy flow, trippy visuals and undeniably charming stage presence for a run through the track "All Night" from his 2017 Boomiverse album. With a little help from Brown on the choruses, the two danced through the haze colored fog that covered the whole stage floor while psychedelic space visuals flashed behind them. During the hook, the pair traded lines, "If it's all right/ I wanna kick it with you all night, all night," while the song's sampled piano melody hammered on in the background. Big Boi is getting ready to hit the road with Christina Aguilera for her Liberation tour in September.